In this unique program, Artie Kamiya presents several fun physical education activities that promote student fitness and skill development. The download provides numerous developmentally appropriate activities for students in Grades K-2. Teachers will be able to save invaluable planning and preparation time. Games and activities included are: Walking through the Jungle, Let’s Go Hunting, I See, The Egg Game, Ninja Turtle Tag, Seals and Sharks, The Birdie Dance and Birdie Dance Tag, The Seven Jumps Dance, Cranes and Crows, Odds and Evens, Jellybean Tag, Octopus Tag, Fish Gobbler and People to People. All of these activities can be easily implemented into any curriculum. 56 minutes. Artie Kamiya introduces a wide variety of new activities that are designed for fitness and skill development for students in grades 3-5! This comprehensive download will help physical education teachers discover innovative ways to keep their students actively involved and having fun. The games and activities included are: Sitting Square Dance, Partner Challenges, Scatter Square Dance, Leader’s Change, Line Leader’s Change, Cooperative Group Volley, Bowling for Fitness, Crazy Softball, End Ball, Sock-It-To-Me Soccer, I Like People Who, Triangle Tag, Cranes and Crows, Multiplication Tag, Blob Tag and TV Legs Tag. Each game can be easily implemented into any elementary school curriculum. 57 minutes. Are you ready to add more enthusiasm and fun to your physical education classes? In this download, Artie Kamiya provides several innovative new games and activities for students in grades 6-8. The games and activities included are: Roller Ball, Which Way Kickball, Hoop Ball, Build-up Ball, High Five Softball, Straight Line Baseball, Decision Ball, Square Ball, Cone Ball, 3-on-3-on-3 Basketball, Mystery Maze, Ultimate Ping Pong, Double Time Kickball, Score Ball, Guard Ball, Ultimate Football, Group Juggling and Basketball Hot Spots. Each game can be easily implemented into any middle school curriculum. 90 minutes. About the Instructor: Artie Kamiya is one of the premier physical education consultants in the United States. He is the former Director of K-12 Physical Education for the State of North Carolina and the founder of the Great Activities Publishing Company. Artie was selected as the 2004 National Physical Education Administrator of the Year by the Council for School Leadership in Physical Education. He has presented over 400 workshops in 40 different states. Are you looking for some fun and new ideas to teach your students and keep them active? 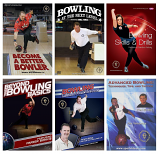 In this download, Don Puckett presents a number of different activities that deal with various skills and fitness objectives. The games and activities taught and demonstrated are: Touch and Go, Five Passes, Everyone is It, Low Ball, Circle Stride Ball, Aerobic Numbers, Aerobic Scrabble, Line Tag, Cooperative High Fives, Fine Motor Circuit, Cooperative Tubes Relay and Cooperative Sheets. These activities will help maximize time, equipment and space and keep children active and moving. The video contains a pdf file to allow teachers to print out descriptions and rules of the games. All these activities can be modified and used with practically every grade level. Running time - 69 minutes. Would you like to add some creative new ideas to your physical education program? This download, featuring Don Puckett, is an ideal resource for implementing several new fun-packed games and activities into your classes. The games and activities included are: Hook Up, Rock, Paper Scissors Challenge, Cone Tip, Cone Tip Softball, Quarterback Rescue, Ultimate Handball, Bowl, Shoot or Pass, Scoot and Shoot, Capture the Pin Soccer, Partner Tag, Smart Dice and Winner's Court. The DVD contains a pdf file to allow teachers to print out descriptions and rules of the games. These games maximize participation and cooperation and can be easily be modified and incorporated into any physical education program. Running time - 88 minutes. About the Coach: Don Puckett is a master teacher with over 38 years experience in education. He has been a teacher, coach, athletic director and assistant principal. Don also worked for 25 years as a camp counselor for special needs children. He has received several Awards of Excellence at the local, state and national levels. Don has served as a consultant for teachers, administrators, camp counselors and recreational directors for the past 30 years. He has been a presenter at state and national functions, seminars and conferences in 42 different states.